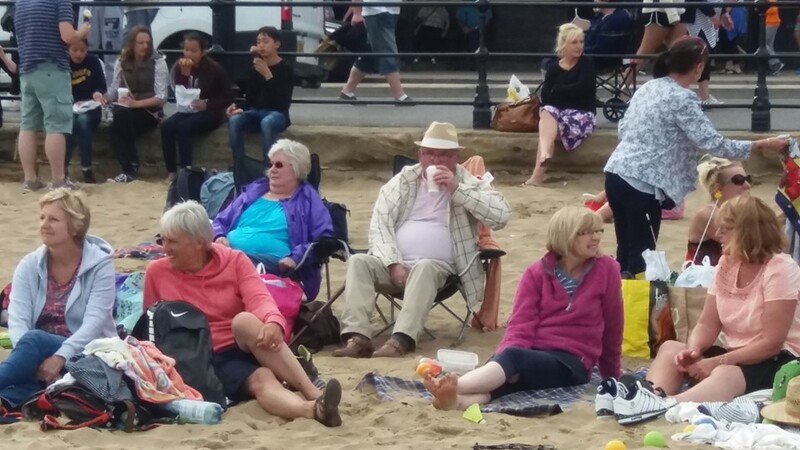 Thank you to everyone who came to Scarborough last Sunday with us on the coach and to those who joined us on the beach. We had a great day out, and, apart from one minor police diversion, the journey seemed to go very quickly so we had plenty of time in Scarborough. 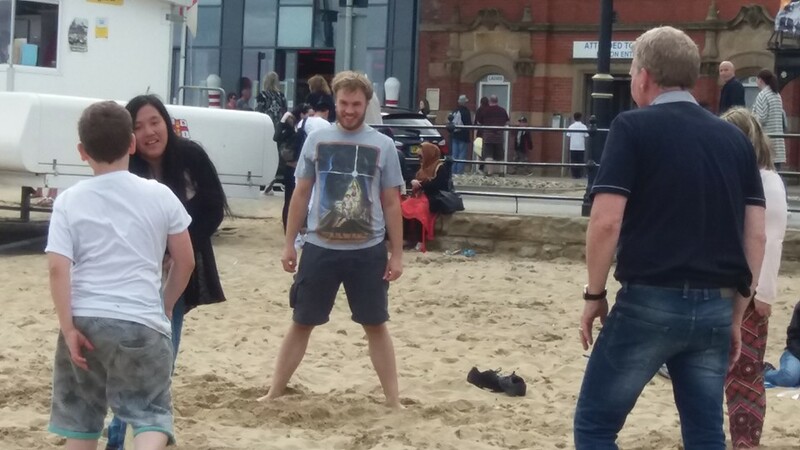 Some went off to the shops, some headed for the arcades and the rest set up a camp on the beach. A few hardy souls braved a swim in the sea but far more just went for a bit of a paddle. There was badminton, french boules and french cricket and the creation of a very fine sand tortoise! We finished the day off with fish and chips before we headed home. A lovely family time together - hope you all enjoyed it too. Burt and Salome celebrated their 60th wedding anniversary with the church after the meeting in Alfreton on August 7th. Such a wonderful Christian couple, full of encouragement for others whether they themselves are experiencing good times or tough times. A real blessing to anyone who preaches in Alfreton as they are so responsive and always have an encouraging word to share. A couple who make time to persist in prayer together every day. Rich in God's word and with a lively sense of humour they are a delight to know and an amazing blessing to the church. 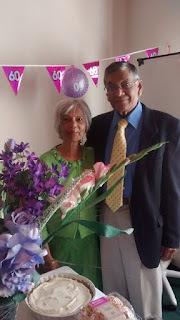 Congratulations on your diamond anniversary with love from everyone at NLC.